Sounds delicious and looks spectacular in your basket! Here at the CSP we're creating a new breed of chicken which takes years of work and waiting to see what our efforts have provided. Each change that we make with poultry can take up to a year or longer just to see if that change is a success or do we need to go back to the barn and begin again. Our goal is to create beautiful shades of green eggs, including moss green, mint green and olive green like what you get with our wonderful Olive Egger. This takes years of work and we're in the beginning stages. I'm enjoying what I'm seeing so far and ready to begin sharing them with our customers but at the same time we've began the next phase in the process, which will take another year before we know if the change we made is a success. 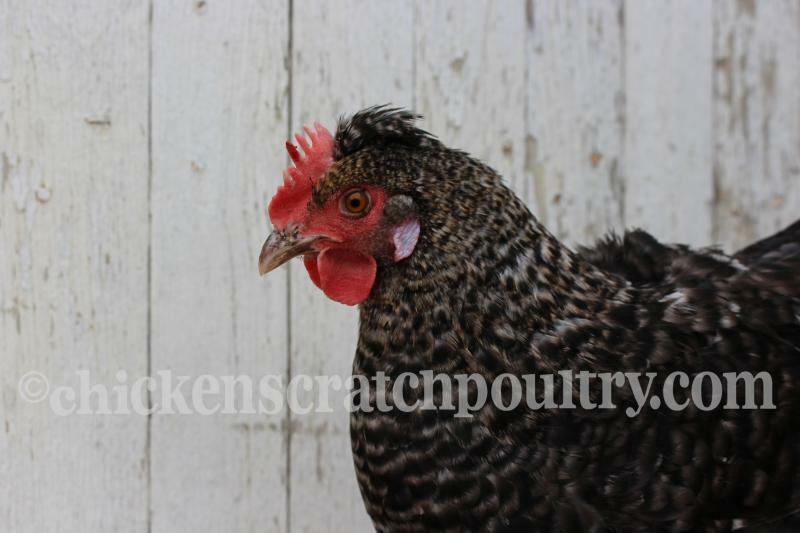 Did you know poultry that lay colored eggs depending on what breed, color their eggs in different ways. Some poultry color the egg by applying the color to the outside of the shell. While others color the shell all the way through. 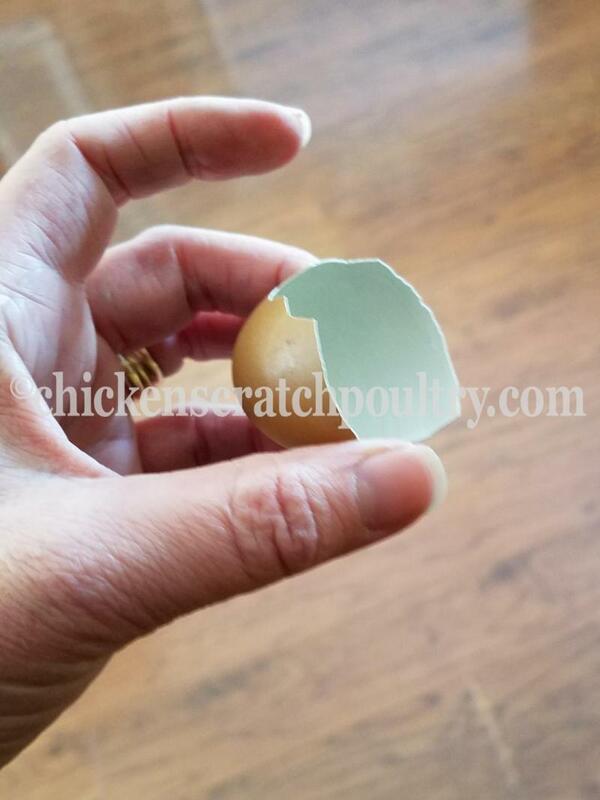 Next time you crack a colored egg open go ahead and peel back the membrane on the inside of the shell and take a look at the color of the shell from the inside of the egg. 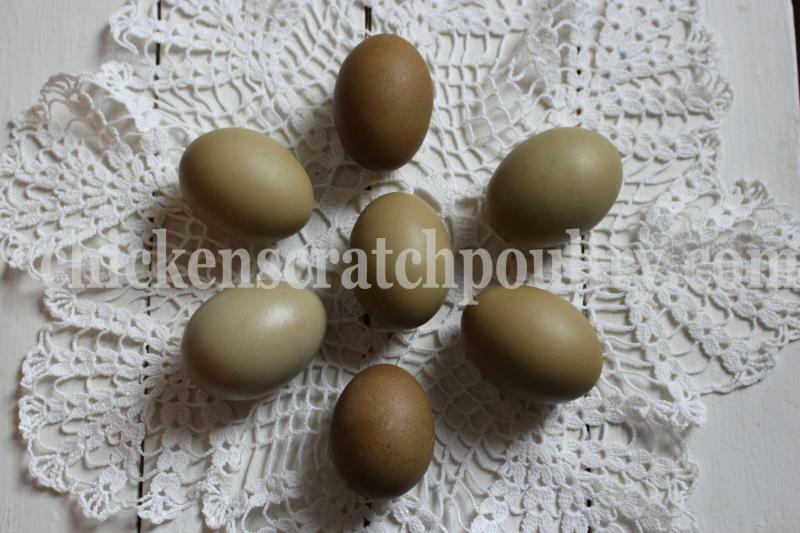 If it's a brown egg you will notice that the inside of the shell is white. Chickens are amazing!! The Mint Cream Bar is a creation of Chicken Scratch Poultry, no other farm can claim they're producing this chicken because we created it right here from scratch :) Please don't ask for our recipe because just like your grandmas secret recipe that you hold dear to your heart and don't share, we won't be sharing ours. We're excited about the Mint Cream Bar / Green Egg Layer and can't wait to share it with others who fancy a colorful basket of eggs. 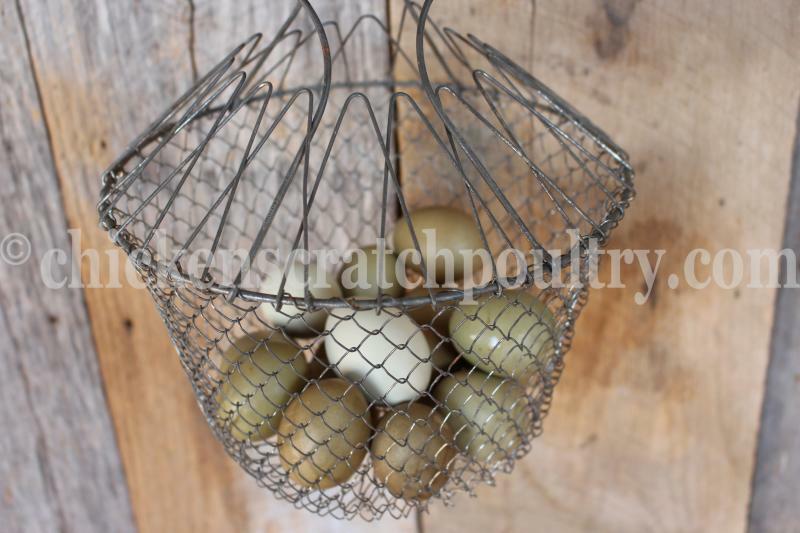 "I wish I had a basket full of boring colored eggs"
Minimum order order of 16 chicks, you can mix the order. If you would like to order fewer than 16 please contact us for information. 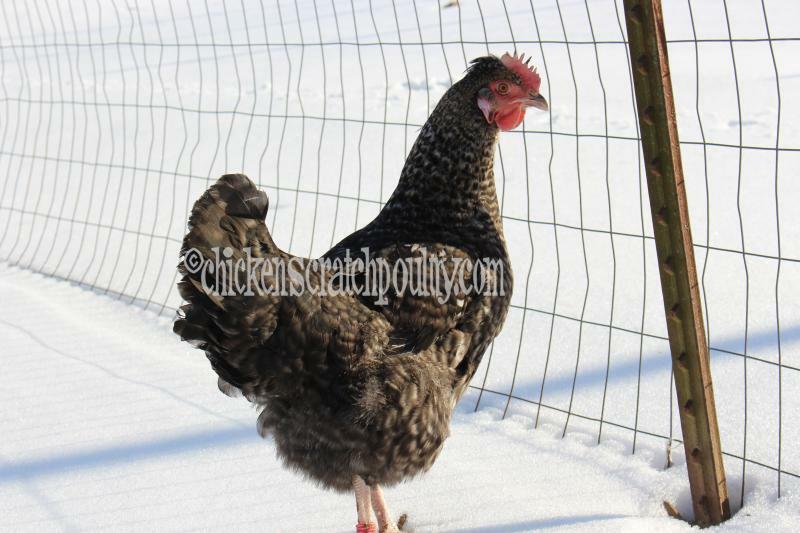 Because of the secret recipe :) Not all hens will be the same color, some have black barring and some have blue barring. We're going on year 2 with the Mint Cream Bar, I've had lots of great feedback from our customers, they're loving this shade of green!! Egg color is very difficult to capture with a photo, the inside of this egg is blue. So fascinating! !